Please Note: Lake loop trail is temporarily closed due to dam retrofit. See picture below showing closed areas on map. 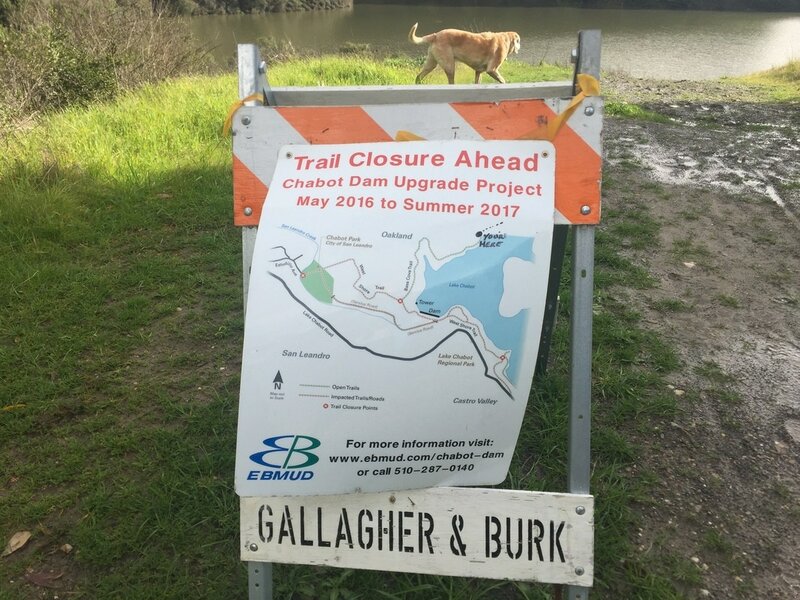 Check out the EBParks website for updates. 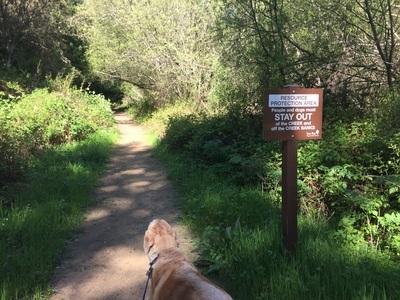 Signs as of 7/17 warn of coyote sightings. 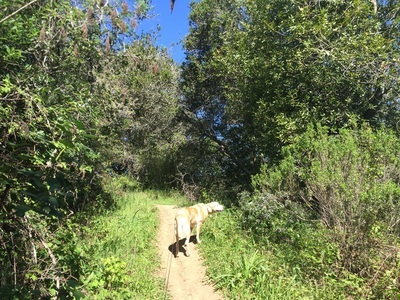 Keep your dog on leash where specified, and always in sight. 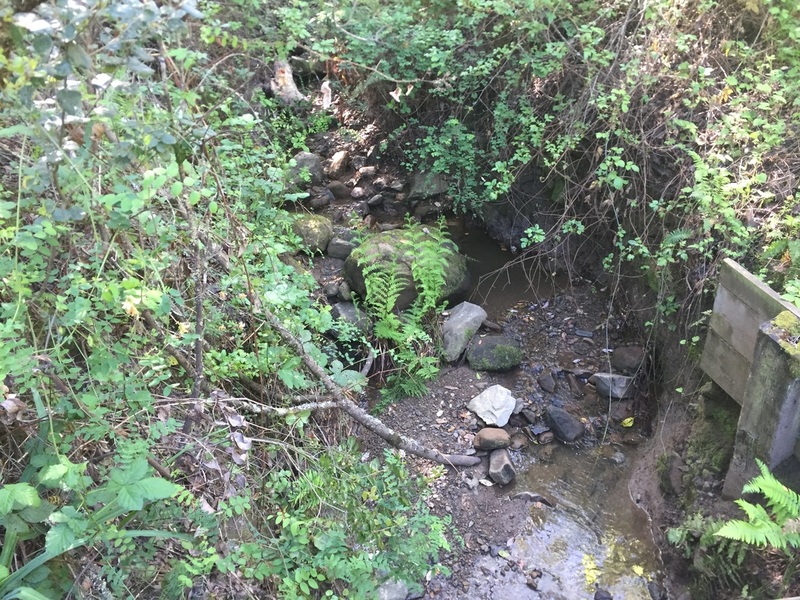 The loop from the Clyde Woolridge Staging area is a challenging hike (12 miles), the hike from the MacDonald Staging Area starts off easy, but can be made challenging by continuing to hike to the lake. Dog Rules: Off-leash in undeveloped areas and on-leash in developed areas. 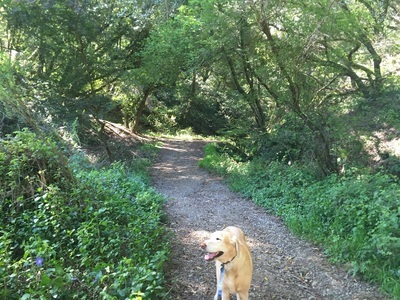 Dogs are allowed in campsites overnight. You can reserve a spot, backpack in, and camp overnight with your dog. CAUTION: DO NOT let your dog in the lake, as it is contaminated with deadly blue-green algae. And watch out for newts, because at certain times of the year the trails are crawling with them. 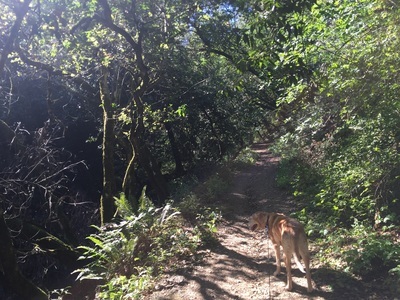 Best time to visit: Anytime, but the upper trails are in the open so avoid it in the afternoon on hot days. 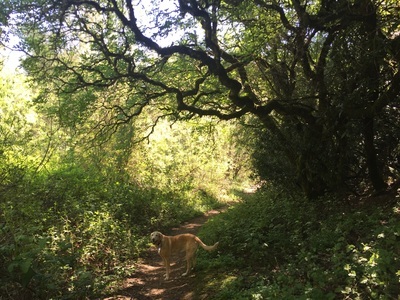 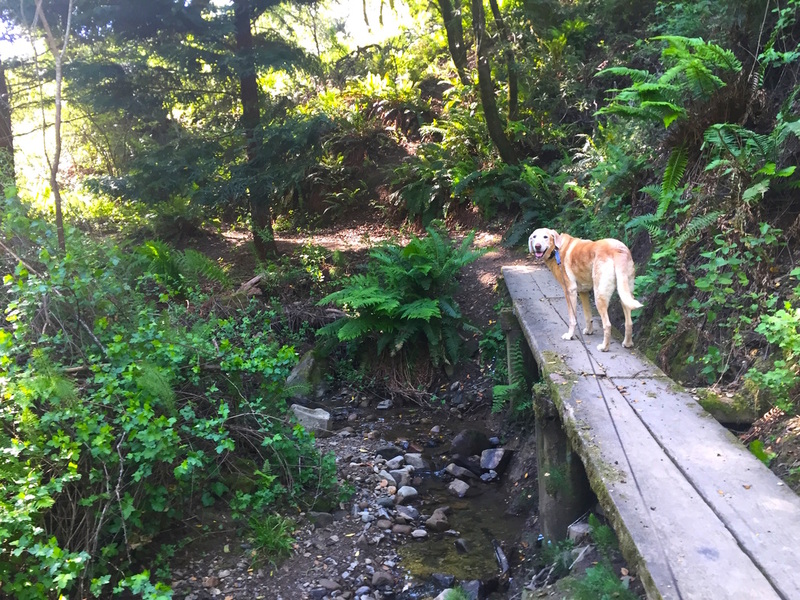 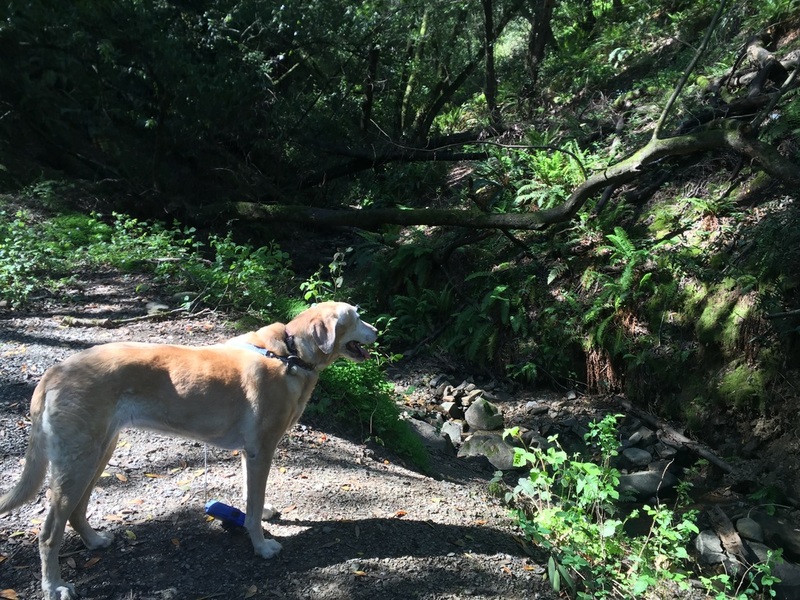 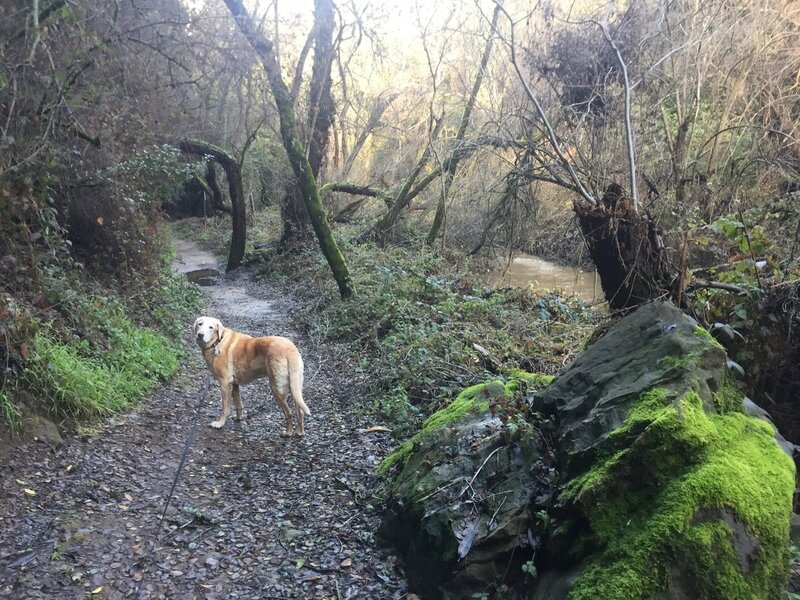 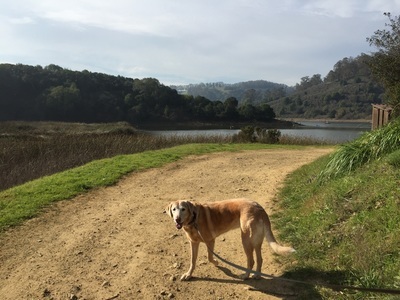 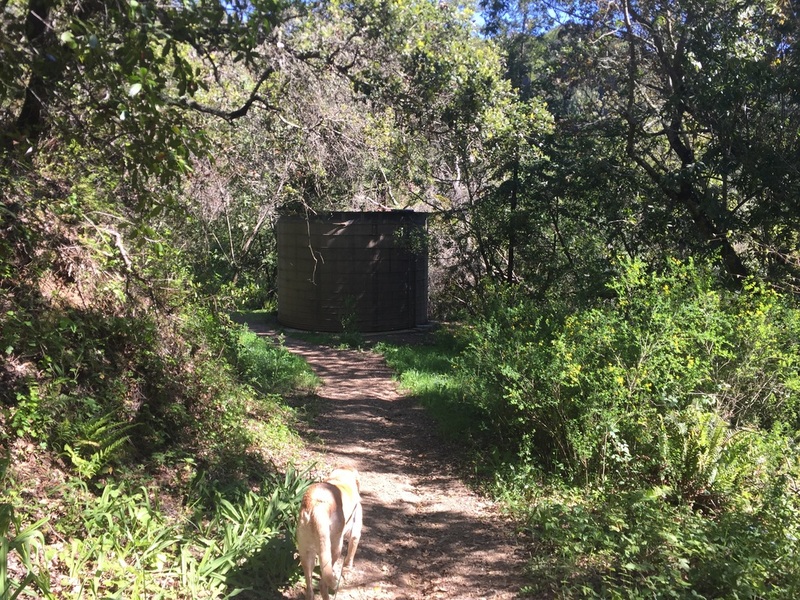 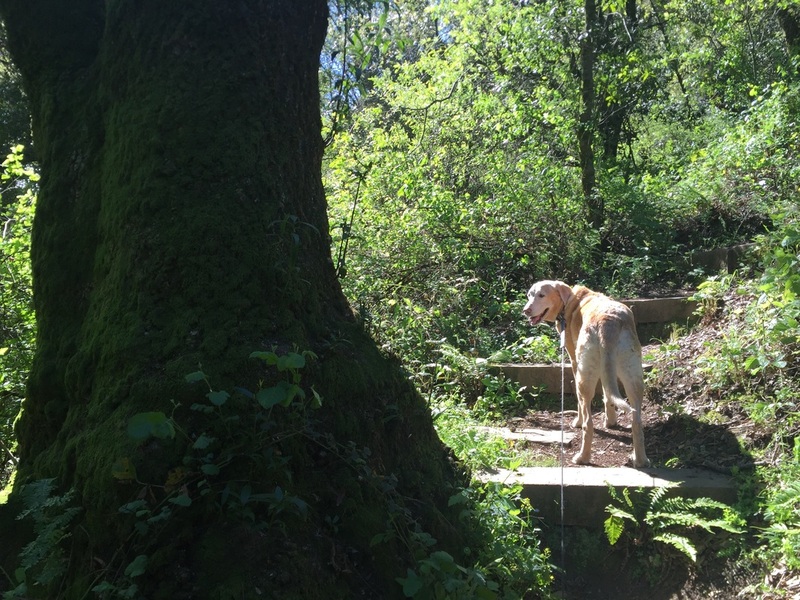 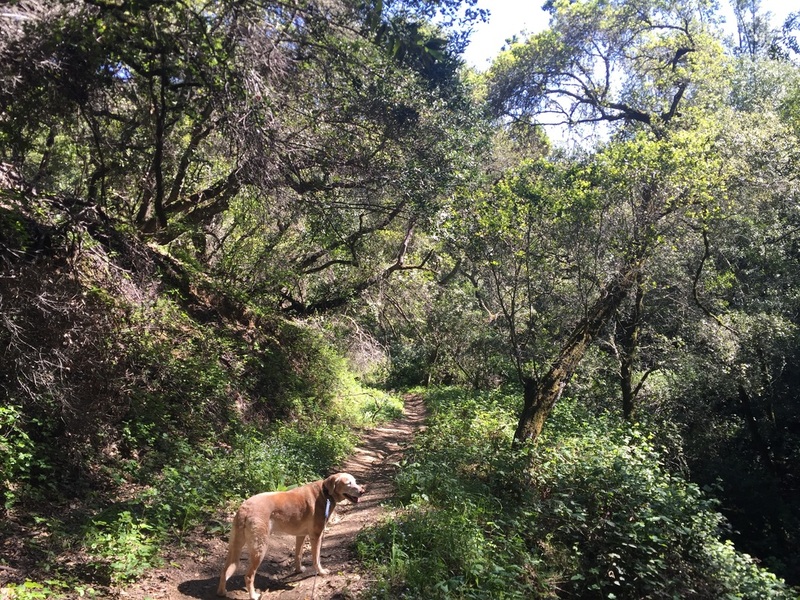 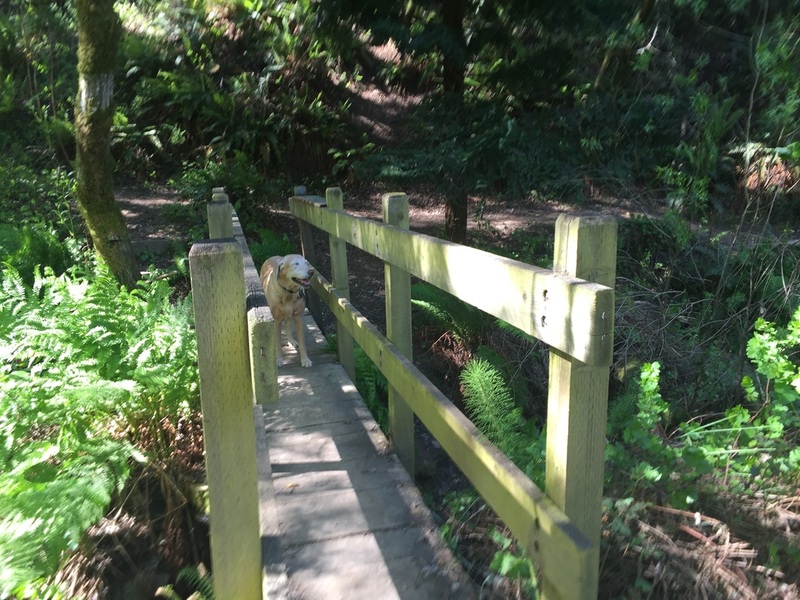 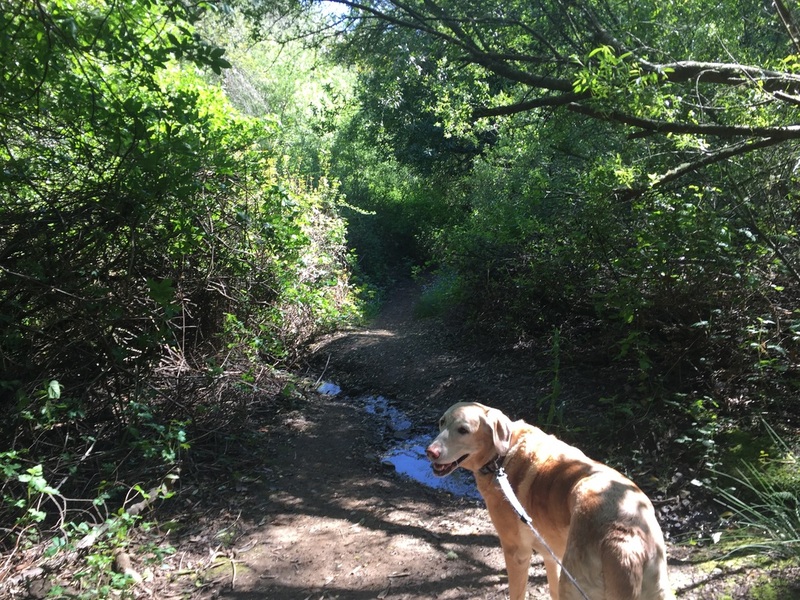 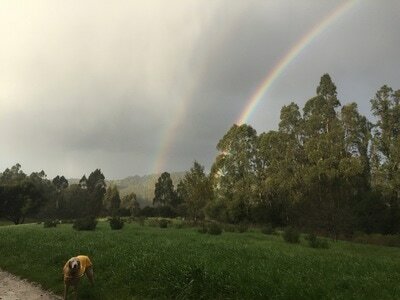 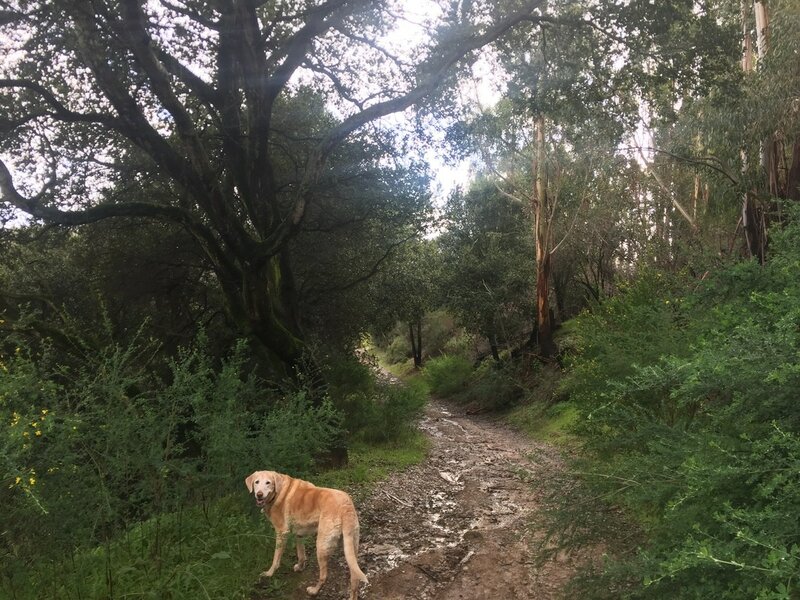 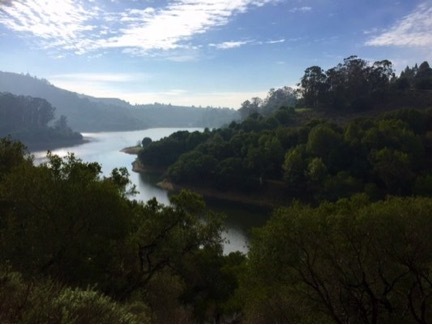 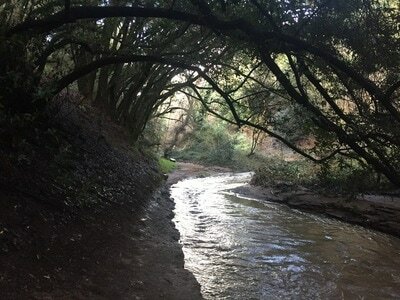 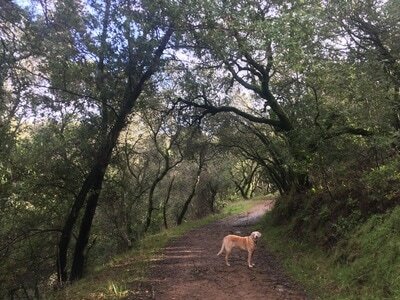 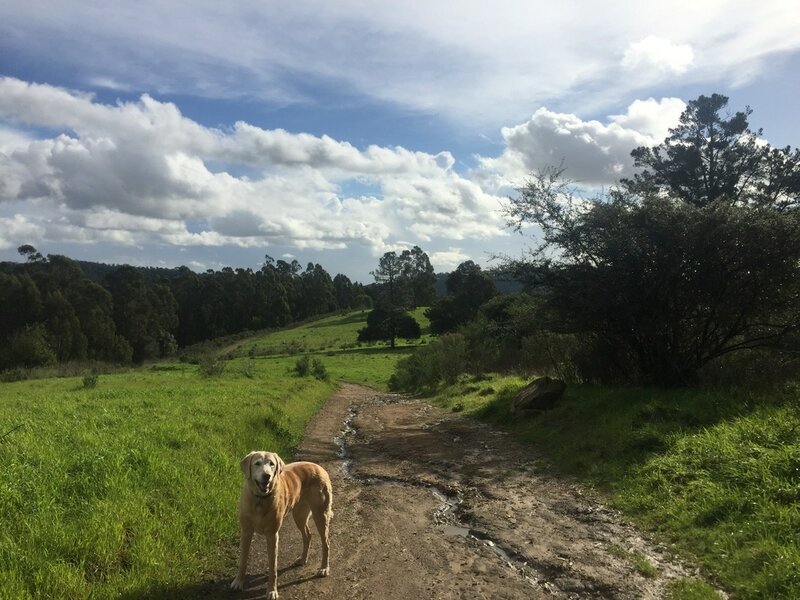 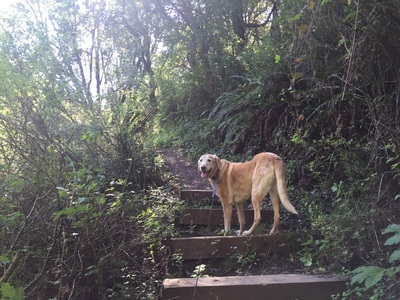 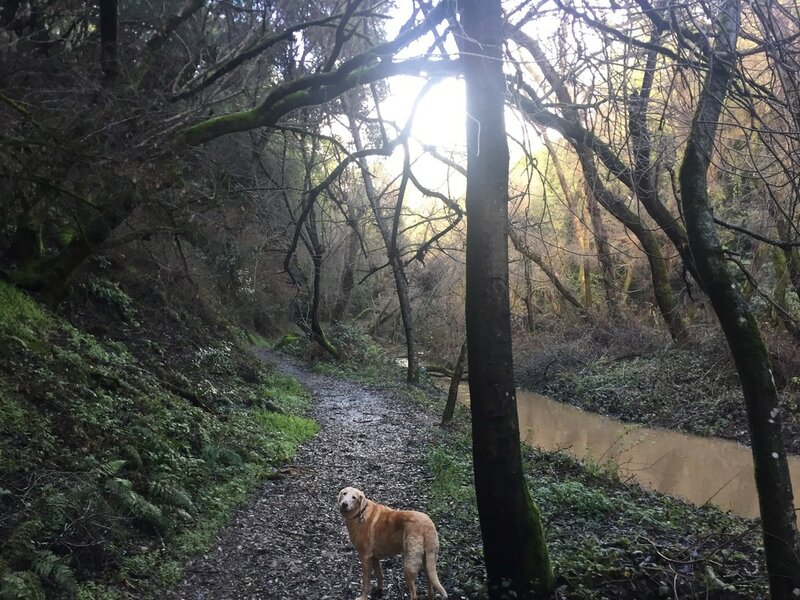 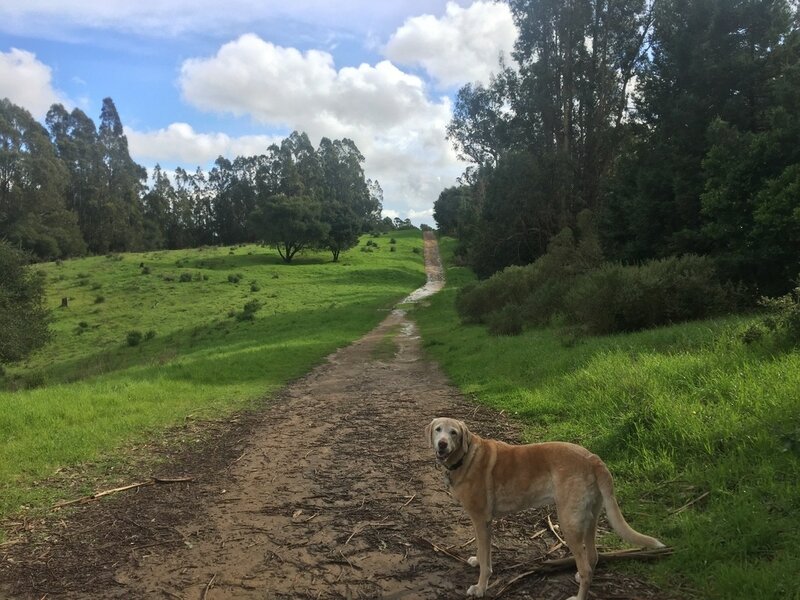 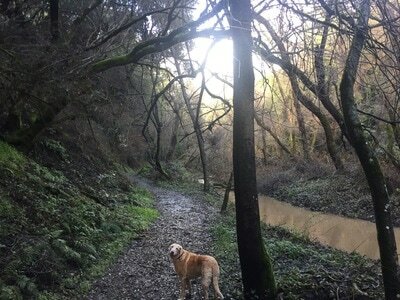 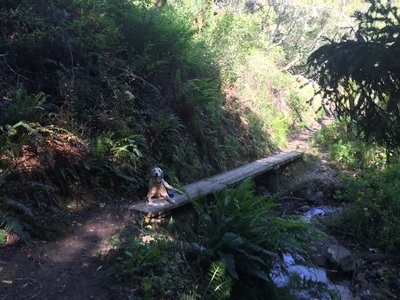 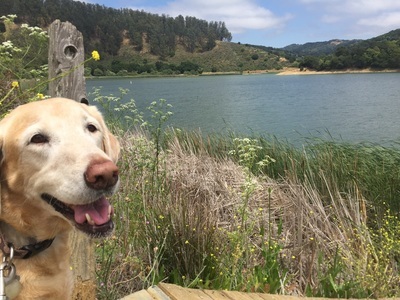 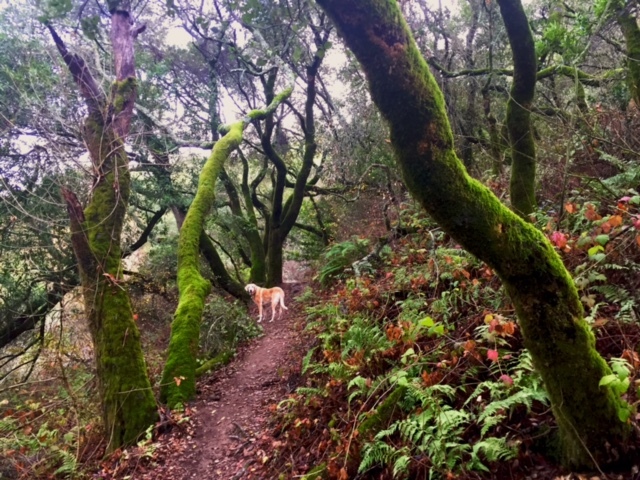 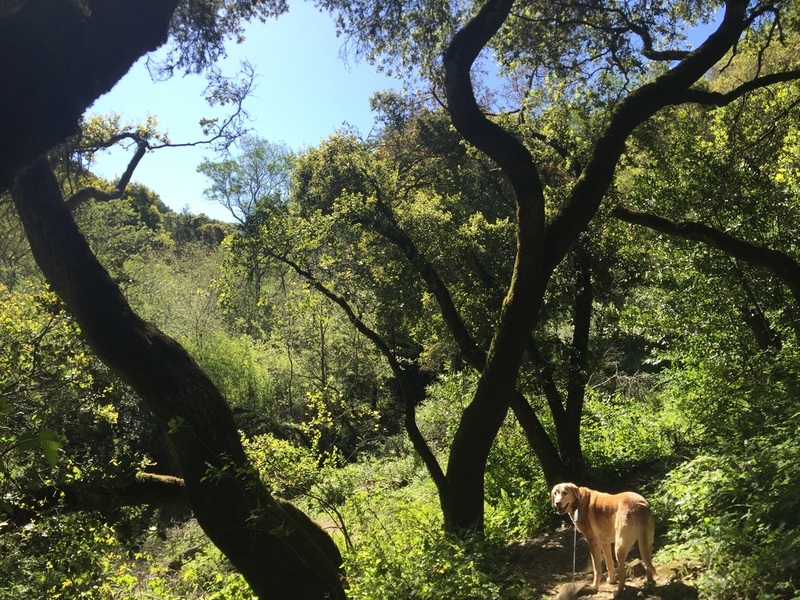 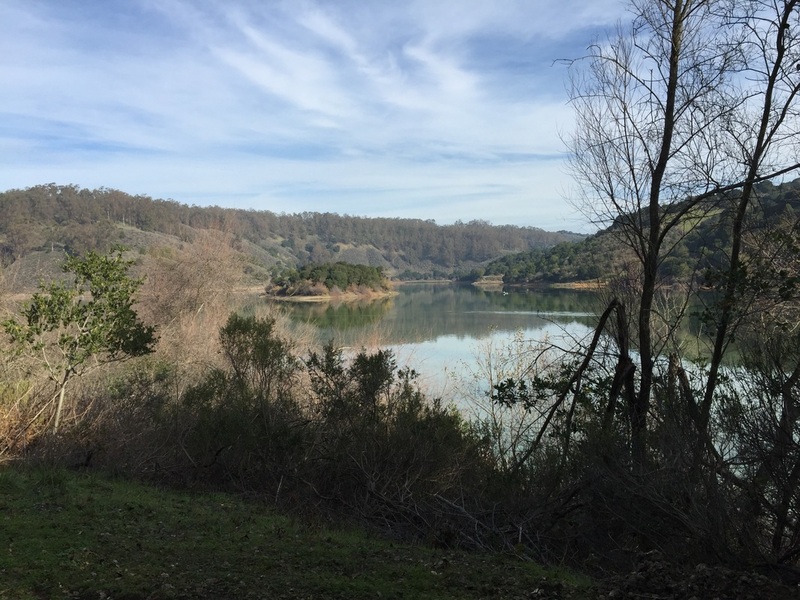 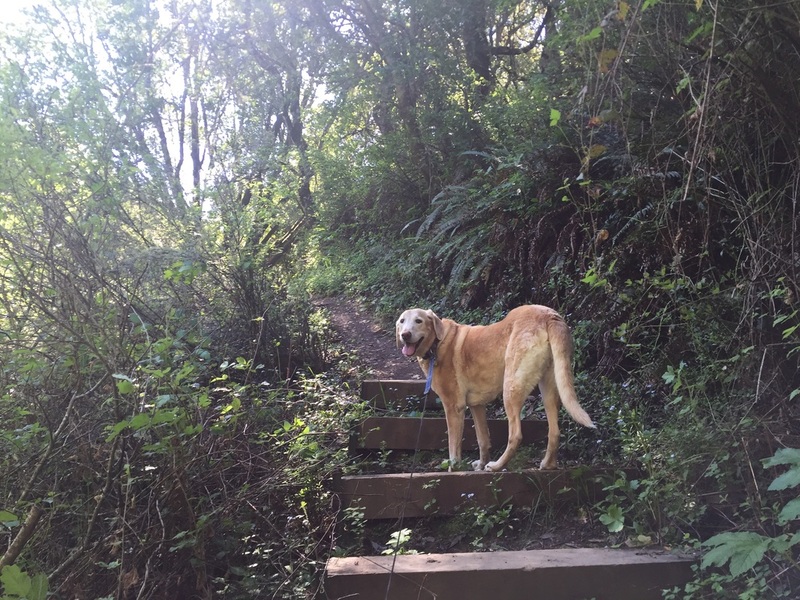 Description: I found a new love for Lake Chabot by discovering a new entrance (in Oakland), which starts at the upper trails and loops around the lake. 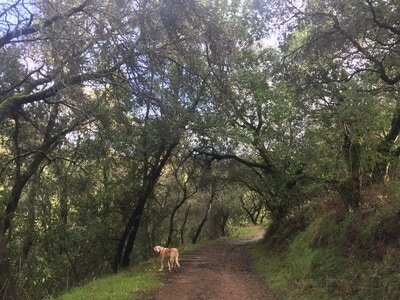 If you're not up for the entire loop hike, you can just hike down to the lake and back and it will only be a few miles. I once hiked the lake starting at the parking lot in Castro Valley, and I remember hating the traffic jam, paved trails, and tons of people. 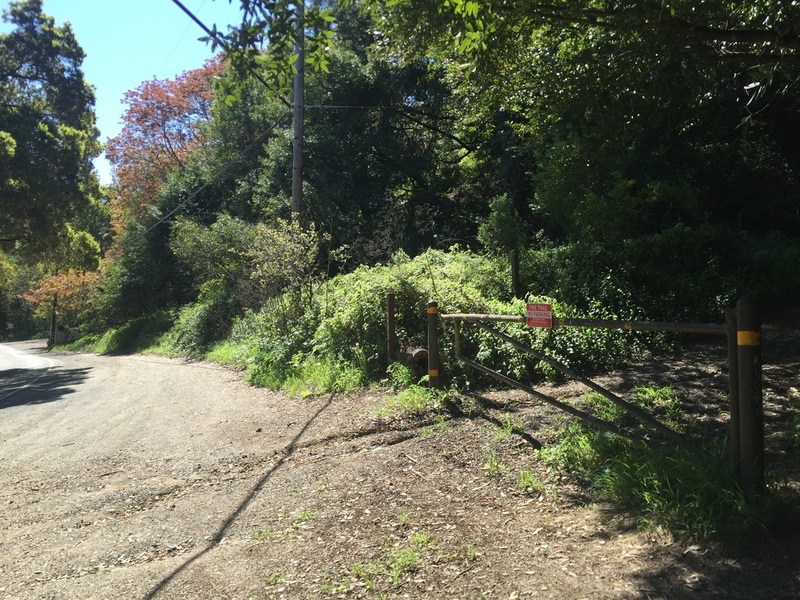 This time I started at the parking lot in Oakland, which had plenty of free parking in the morning (and even a couple spots when I returned at 2pm). 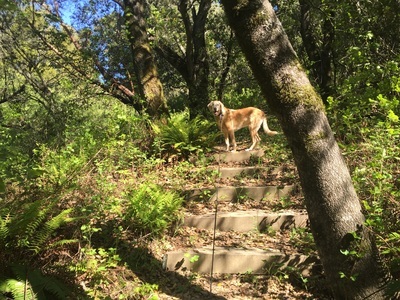 I like to hike the loop from Goldenrod to Bass Cove to West Shore to Indian Cove to Cameron to Columbine and back to Goldenrod. You will experience a changing landscape from the wide open hillside, to the shore, to the thickly forested trail back. 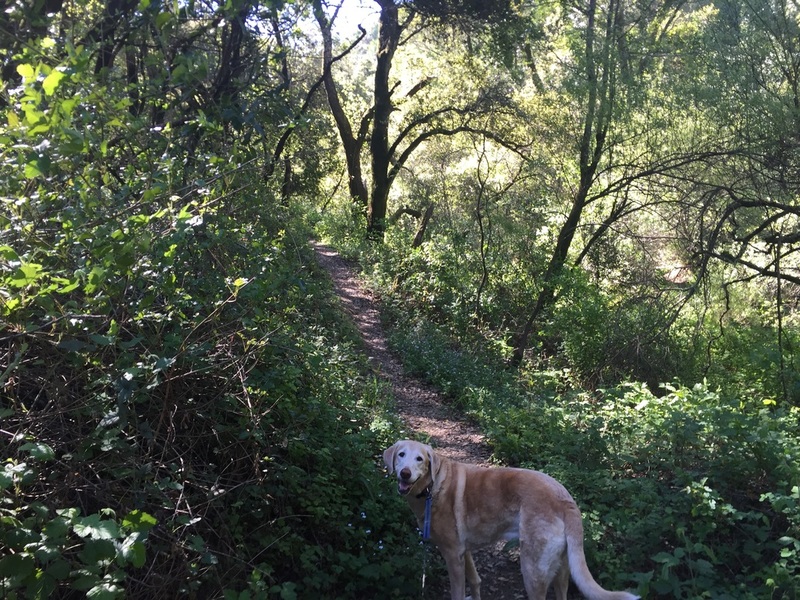 If you start early and hike Bass and West Shore first, there is usually practically no one there. 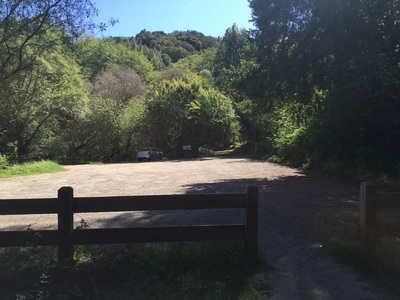 There's a gun club nearby so during the start of the hike you can hear the shooters at the gun range, and you also may run into some golf carts from the course nearby. 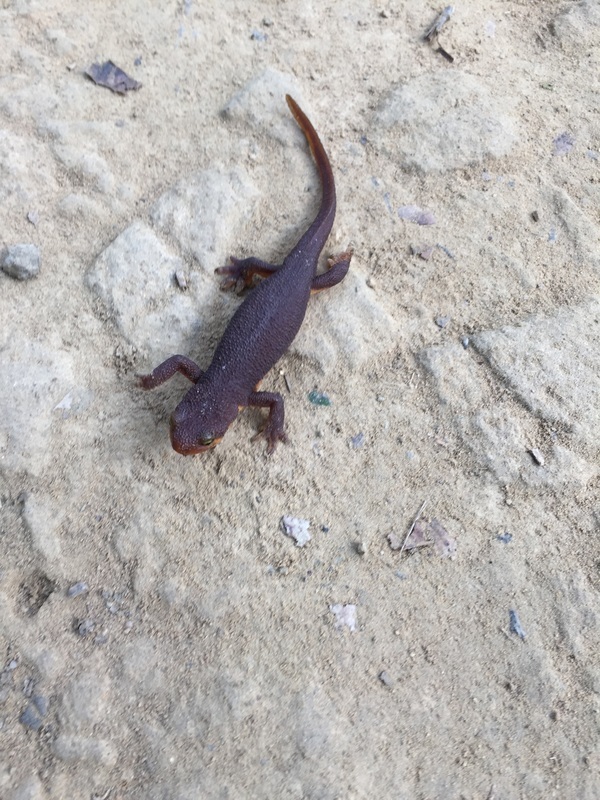 I saw some newts crossing the trail, so keep your eye out. 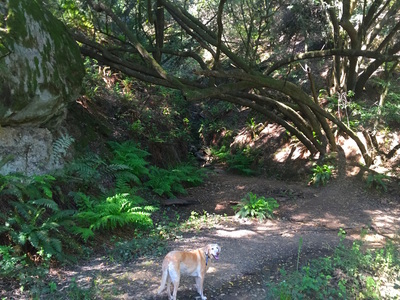 Indian Cove takes you off the busy shore into the woods. 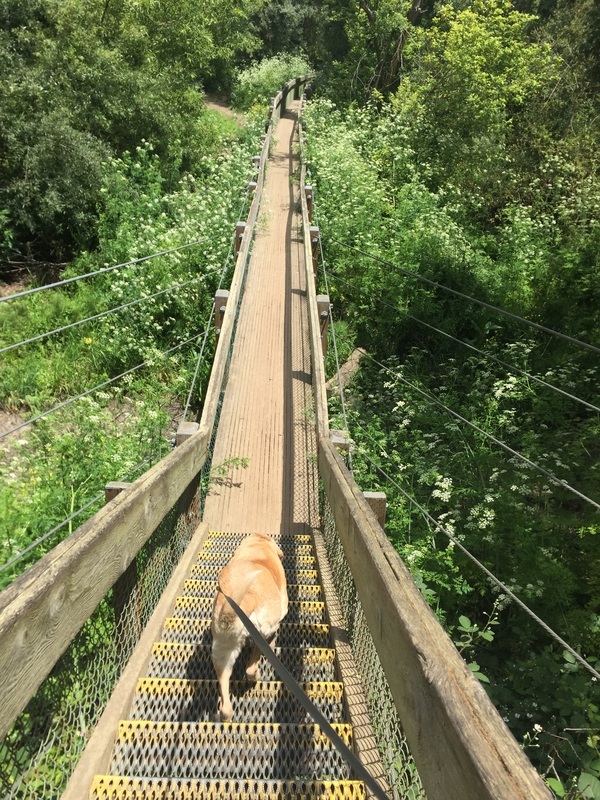 There's a nice bridge and views of a marsh area as you loop around. It wasn't very busy at this time on the lower loop, and there were abundant restrooms and garbage cans. Traffic really thins out after you cross the bridge and there was almost no one on the last 4 miles. 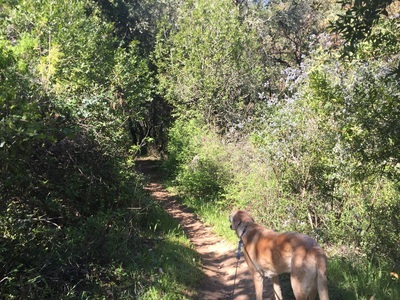 I really enjoyed this last part of the hike along the Columbine trail. It snakes up through the hills, through eucalyptus trees and a forest of huge redwoods. 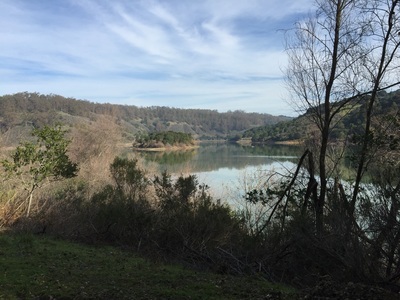 There are great views of Lake Chabot from that trail. The end of the Columbine trail (where it connects back to Bass), has a decent sized creek running through it. 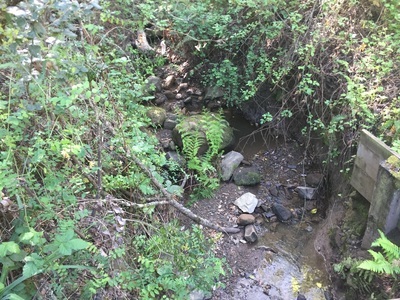 You will have to cross it several times to get back to Goldenrod, and it can be deep after a rain. 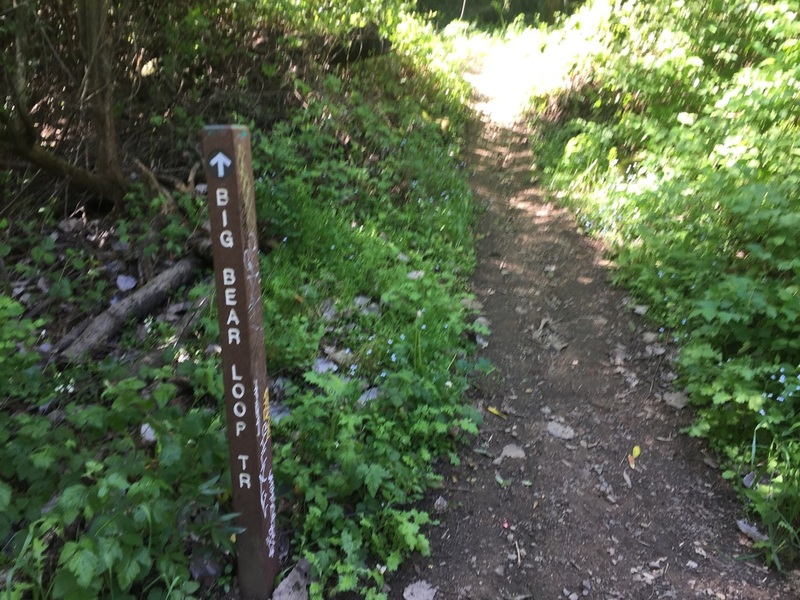 This loop ended up being about 12 miles. 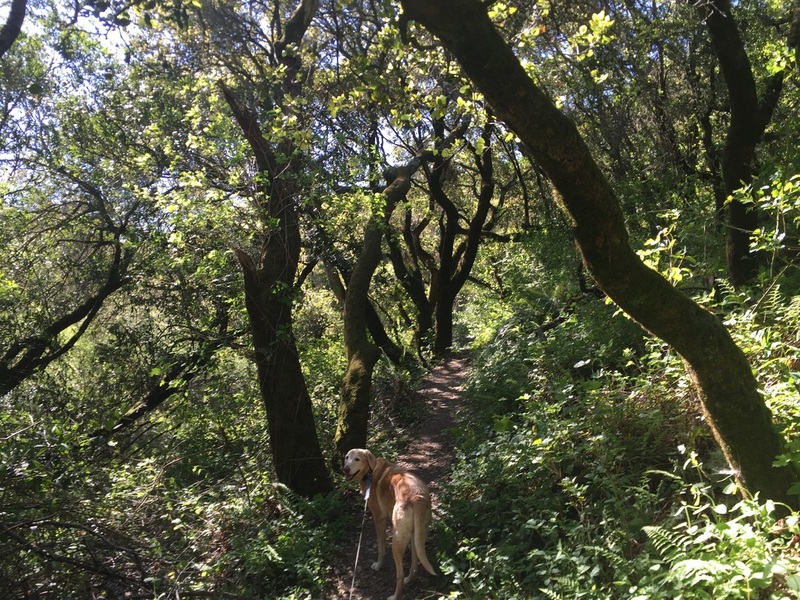 I only remember 4 fairly steep hills, so overall the hike wasn't too challenging, just long. 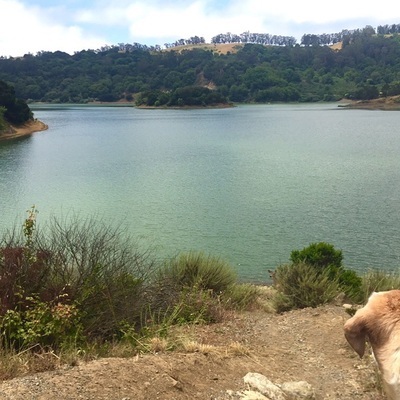 It had great scenery the entire way and was a great way to get a taste of Lake Chabot without all the chaos. 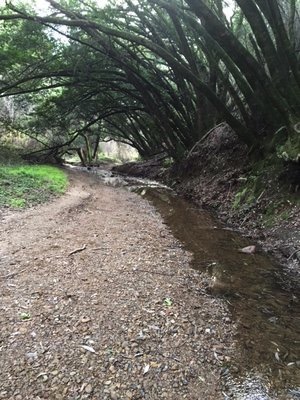 You can also start at the Big Bear Staging Area, off of Redwood Road, for a scenic but shady hike along the creek and through groves of moss-lined trees. 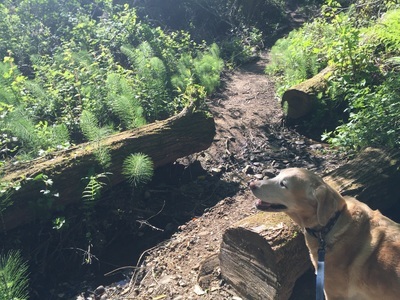 The beginning of the hike is mostly flat and you can continue your hike all the way to the lake, if desired. To keep this as a mostly shady, 2 mile hike, take the MacDonald Trail from the staging area. 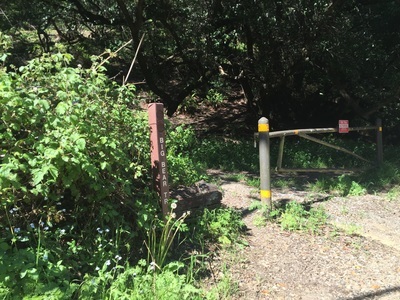 You'll cross the Macdonald Staging Area and continue along the creek. Take the Bird Trail to your right, it will head uphill and you'll have to climb several short sets of stairs. 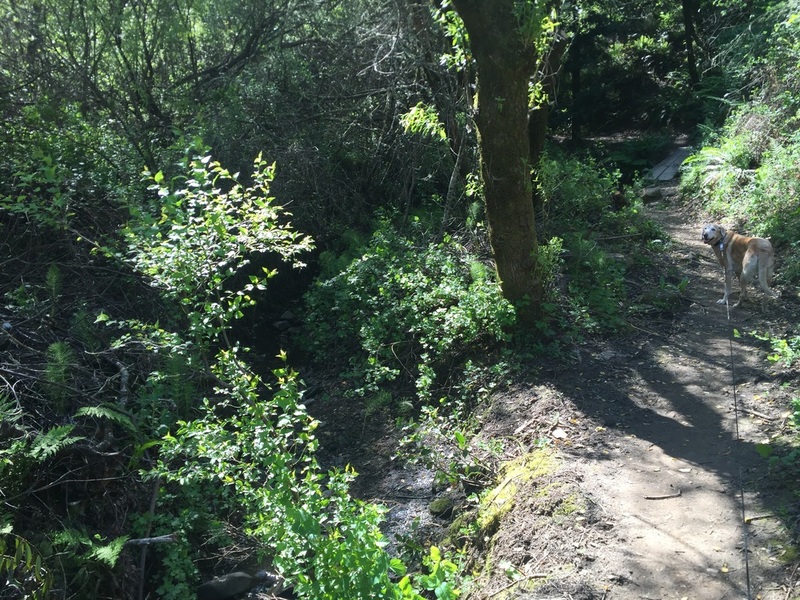 Follow it along the creek (to the left when it splits), and the trail will cross the creek several times, over planks and bridges. It will eventually loop back to your left via another bridge, and you can take the MacDonald Trail back. Right before you return to where you parked, take the Big Bear Trail on your left, and it will climb up and loop around about 0.4 miles and en at a fire trail gate just a little up from where you parked. 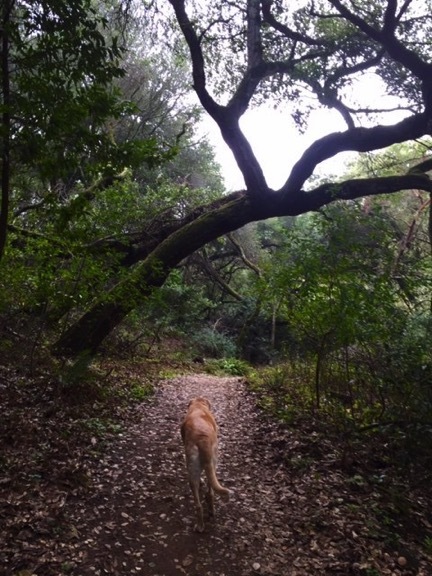 Walk the shoulder of the road back. 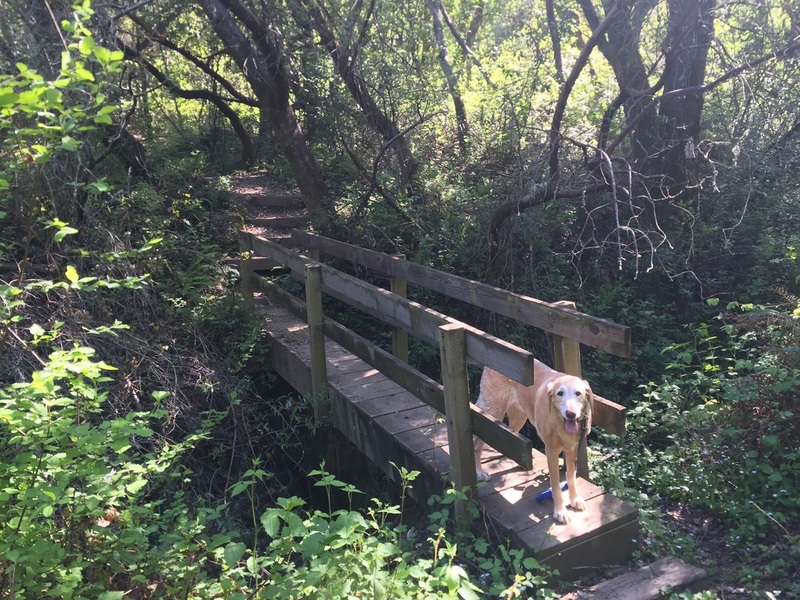 The EBParks map is not very accurate for these trails, which is why I provided the description. This hike is a little less than 2 miles with a few steep sections and some stairs. 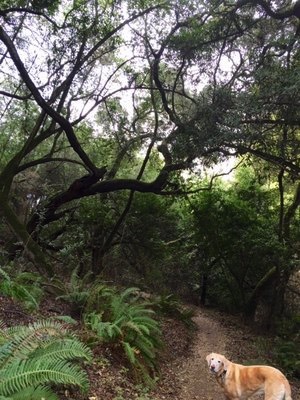 You'll definitely break a sweat, and it's a great, short workout. You can easily extend this hike if it isn't too hot via nearby trails. 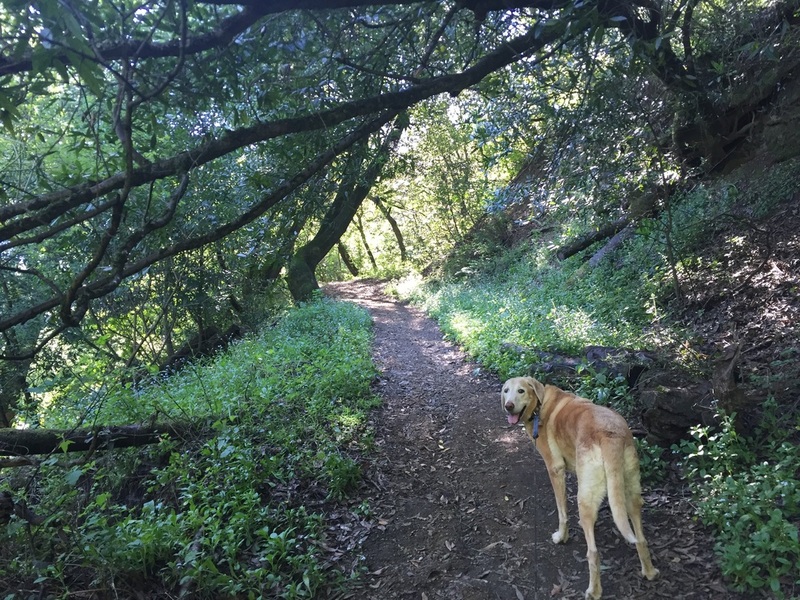 This hike is perfect for a warm day, as it's almost entirely shaded, and fairly easy but has a couple hills for a short workout. 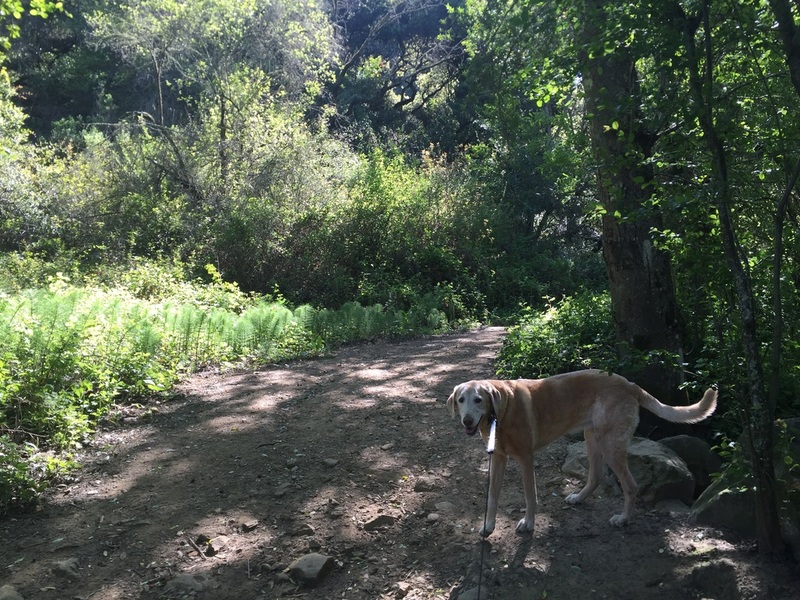 Park at Big Bear Staging Area. Take McDonald Trail to the left of the parking lot. 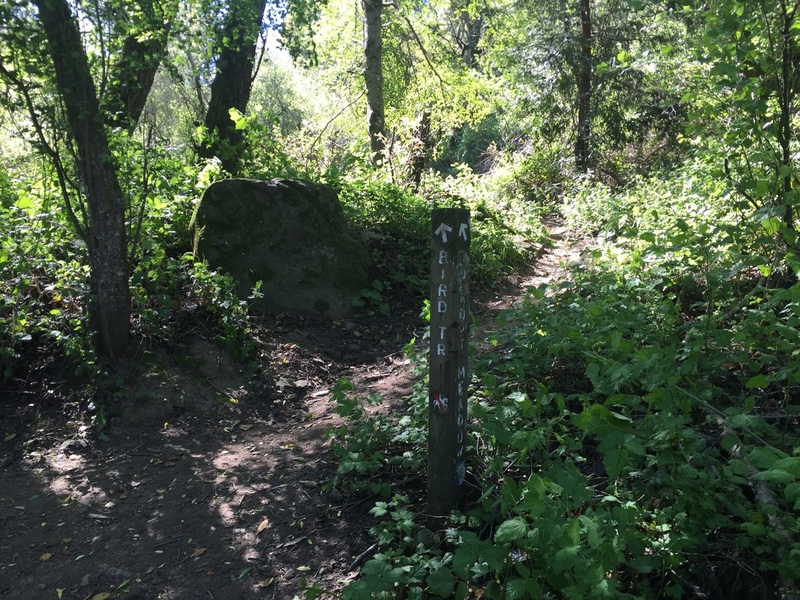 We walked past MacDonald Gate Staging Area and took the first right onto Bird Trail. 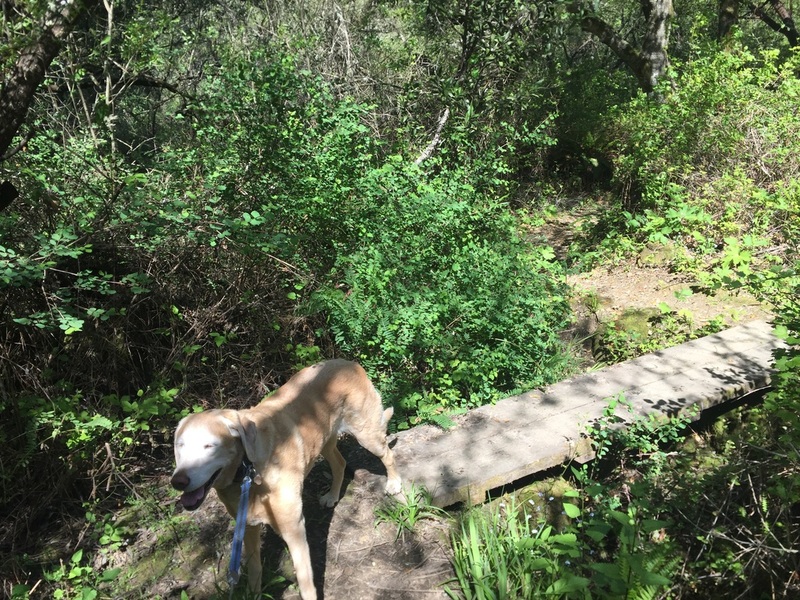 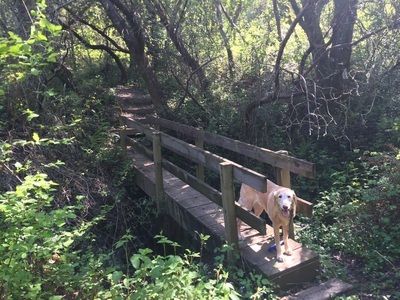 This scenic trail that meanders around moss covered trees and if you take the first left at the trail split, it dips down along the creek via a series of planks and bridges. We looped back, past the MacDonald Parking area and took the trail split to the left, Big Bear Trail, which snakes up along the hillside and leads to a seasonal waterfall (during winter). 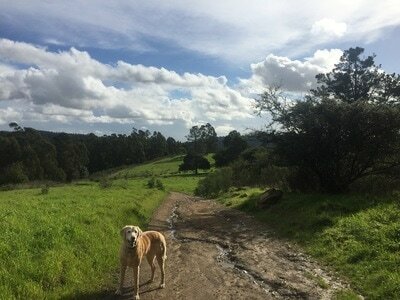 It ends at the road, and you'll walk a short stretch along a wide shoulder takes you back to where you parked. Please note that sections of MacDonald Trail and Bird Trail are a little overgrown. We did not have a problem with it, but if you're concerned, wear long pants. 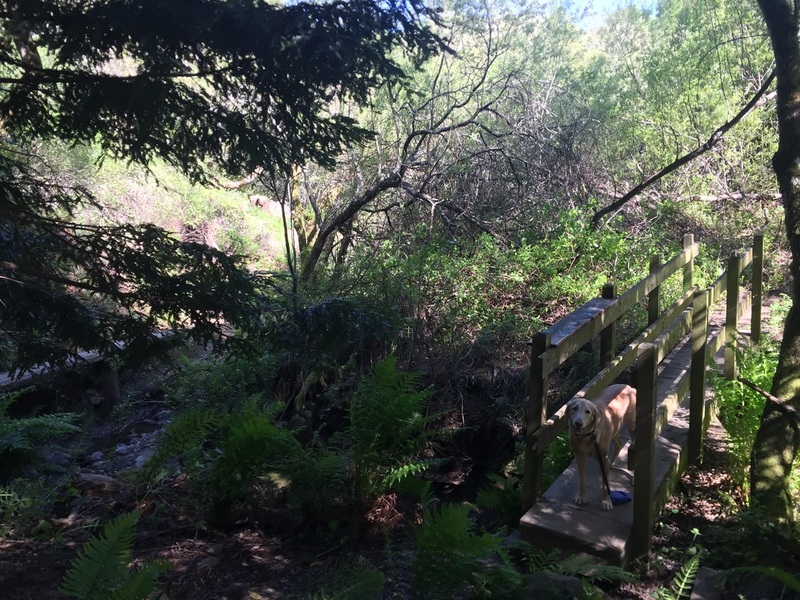 This hike can easily be extended by continuing through Anthony Chabot (you can go all the way to the lake), or crossing the street where you parked and hiking into Redwood Regional via the Golden Spike Trail. See video below for more details on this hike.